Welcome to Paula Savino’s home interior design company with offices in Chandler and Scottsdale. 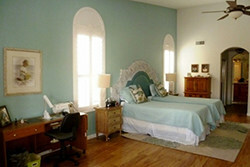 Interior Preference LLC is a complete service interior designer and staging firm. 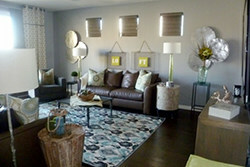 We don’t only make your home beautiful, but we can also help you sell your home with expert home staging advice. Principal Interior Designer and Entrepreneur is Paula Savino, Allied ASID. She has been a home designer since 1991. Her heartfelt intentions for the clients are to guide, educate, reassure, and bring their dreams to a higher plane than what they had originally considered. The final goal is to make homeowners happy and comfortable in their re-invented abode. The decoration firm offers home interior design services to Central and Northern Phoenix, Cave Creek, Paradise Valley, Scottsdale, East Phoenix Valley, Ahwatukee, Tempe, Chandler, Mesa, Gilbert, Sun Lakes and Gold Canyon, Arizona. If you are in any of these areas, you can contact us to schedule a consultation. Be it home remodeling from scratch or interior decoration services that will tweak your interiors, we are here for you.. The firm’s project scopes include residential and commercial interior design, and exteriors which encompass the home remodeling of existing environments, new builds, and staging spaces for resale. There are no home designer projects that Interior Preference LLC can’t tackle. You can check out our portfolio if you are interested in learning more about the projects done by our interior designer team. The blending of interior design and architectural elements has always been of paramount value in the creation and execution of our designs. We have gone even beyond ordinary. Experience rustic, untouched beauty of nature, its elements, colors, hues and the vast serenity with Interior Preference LLC. We responded to an ad in the AZ Republic for a consultation of an ASID Interior Designer. No way did we know what a dedicated, experienced, talented person that we would find in Paula Savino of Interior Preference. Along with her great listening ability, Paula completed our home in Sun Lakes, with all the fabulous touches she provided us. She had outstanding resources for our needs of furniture, drapes, painters, framers and a silk flower designer. Her capacity to work within our time frame, budget and tastes, exceeded all our expectations. Thanks to Paula, we immensely enjoy our completed home. 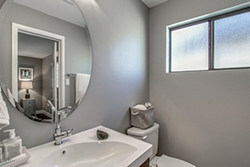 Mine was a master bedroom and bathroom en-suite redo. Paula was a joy to work with. She did all that I asked of her and more. I know the job required a lot of research and leg work. She was dedicated and got all the quotes and oversaw the whole operation. We worked together on the budgets and the contractor we hired was very good. We finished in a timely manner. I was extremely satisfied. Working with Paula Savino and her design team of Interior Preference llc was an enjoyable, rewarding, and fun experience. While this was my first time working with an interior design professional, Paula and her team made the design process pleasurable, informative and educational with outstanding results. Paula and her team take the time to understand their client’s tastes, hobbies, and interest to try and incorporate them into the livable areas. Her talent and personal creative resolve far exceeded my expectations. 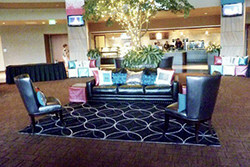 The end result was 3 fabulous, comfortable spaces which I use daily. I will definitely join forces with her design firm again on my future projects.